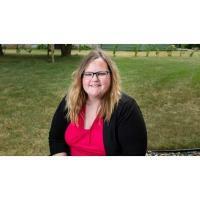 EAU CLAIRE, Wis. — Heather Klanderman started experiencing migraines when she was in middle school. The 37-year-old Menomonie, Wisconsin, resident saw multiple doctors, but found no relief. She attributed her headaches to stress. At age 20, she suffered a concussion while playing softball, and the problem got worse. In addition to the pain, she sometimes experienced nausea, scalp tenderness, extreme tiredness, and sensitivity to light, sound and smells. While most of the migraines occurred in the left side of her head, the less-frequent right-side migraines were even worse. She was referred to a neurologist and tried many treatments, including diets, medications and chiropractic care. When Klanderman went to see Donn Dexter, M.D., a neurologist, and Kerri Crank, a nurse practitioner, at Mayo Clinic Health System in Eau Claire, she learned of a treatment option that took her by surprise: Botox injections. After about a year, Klanderman eventually went to see Scott Spritzer, D.O., a neurologist at Mayo Clinic Health System in Eau Claire, who explained how the treatment works. Botox is a botulinum toxin that temporarily paralyzes muscles. The toxin makes a nerve unable to activate a muscle. The first treatment involves 31 injections using a small needle. Subsequent treatments, typically administered every three months, may involve different areas of the head, depending on results. The treatment is not for everyone. Most insurance companies that cover the cost require patients to try other treatments first, such as antidepressants, and blood pressure and seizure medications. Many people respond well to medications. Candidates for Botox treatment are those who experience at least 15 headache days per month, with eight meeting the criteria for migraines. The major features of migraines include moderate to severe throbbing pain on one side of the head that worsens with activity or causes a person to avoid activity. Other indicators include nausea, vomiting and light or sound sensitivity. For Klanderman, the results were dramatic. “It has been life-changing,” she says. “I noticed a reduction in my headaches and migraines after the first round, and every time it has gotten better.” Klanderman says she now only needs an occasional over-the-counter painkiller for mild headaches. Dr. Spritzer says it is a good feeling to see a patient have such a good result. Klanderman says she couldn’t be happier with her treatment and the end result.